Several flights and excursions take off from the Domaine. A panoramic overflight that is very representative of Québec's landscapes. You take off aboard a superb seaplane for a flight over the St-Lawrence River, Lake St-Pierre, its archipelago and to the north, the immensity of Quebec as far as the eye can see with lake and forest. 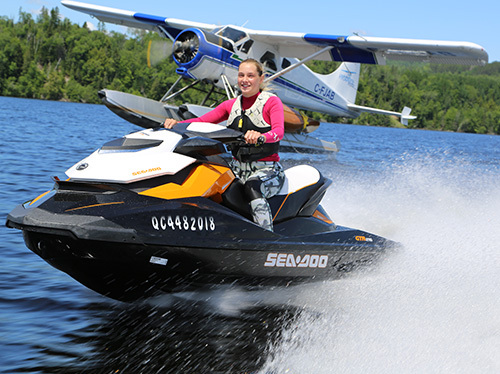 We propose you to fly to Montreal, to embark on a personal watercraft to descend and explore the St Lawrence River, about 90km on the water.